New remix contest by the netlabel Aviground Records. 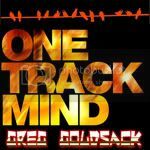 The Canadian Dj Greg Goldsack is offering his track “One Track Mind” to be remixed. Join now! Rules: The remixes will be send by http://www.soundcloud.com/goldsackremixes in 320 kbps. We are looking for remixes in the genres: Minimal, Techno, Tech-House, House, Progressive House, Deep House, Electronica Downtempo and Dubstep. Of course this is what we’re looking, but if you wanna blow us away with other style you’re more than welcome!